Bet £5 get £30 bonus. New Customers only. Deposit and place a £5 qualifying bet at odds of 2.00 or greater within 7 days of opening a new account; excludes cashed out bets. Receive 2x £10 Free Sports Bets, valid on set events only (1 at odds 2.00 or greater), expires in 7 days, plus a £10 Casino Bonus, expires in 7 days. Wager the Casino Bonus 40x to withdraw winnings. Credit or Debit card only. Geographical Restrictions. T&C’s apply. Register a new account with Betvictor and make your first deposit. Place a £5 bet on anything, within 2 working days, at odds of 2.0 (evens) or bigger. You’ll then get £20 in free bets (2x £10) and £10 in casino cash. It’ll be in your bonus funds wallet. Any customer who opens a new BetVictor account can benefit from a free bet and casino bonus which provides bonus funds (that are non-withdrawable) equal to the value of £30. In order to receive this free bet, a customer need simply open an account, deposit funds and place their first bet of £5 at even money or higher, and the bonus will then be credited to their account within two working days. If the customer’s first transaction with the company includes more than one bet, as long as one selection has odds of evens or higher then the bonus will be credited. 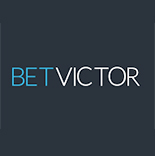 In order to be eligible for the Betvictor free bet, the customer’s first bet must be placed within 30 days of opening their account and must also include at least one selection at odds of evens or longer. Void bets do not qualify, the bonus funds must be used within 30 days of them being credited and before any winnings that may accrue from them can be withdrawn the following wagering requirements must be fulfilled. Therefore, if a customer uses their first £10 free bet at even money and returns £20 they’ll get £10 of real cash in their account (the free bet stake is not returned). As well as requiring the above wagering requirements to be met before withdrawal of winnings is possible, all bonus fund bets must also be placed separately from real money wagering and will not return the stake amount with any winnings. The total amount of bonus must also be used within 30 days of it being credited, or else it is forfeit. To withdraw any of the casino bonus a 40x wagering requirement must be met. The bonus amount a customer receives will be £20 for sports and £10 for casino. That first bet must be placed within 30 days of opening the account and needs to include at least one selection at odds of evens or longer to be eligible for the Betvictor free bet. If more than one bet is placed as part of a customer’s first transaction, the one with the largest stake amount is the one which will be considered for the offer. Void bets do not qualify for the receipt of the new customer offer. Bonus funds are credited as soon as possible, but can take as long as two working days. Any free bets received must be used within 30 days or else they are forfeit. All bets placed using free bet funds must be placed separately from any real money bets. Stakes wagered using bonus money are not returned as part of any subsequent winnings. Bonus money cannot be applied to tote betting or staked on US racing. Any winnings that result from bets placed using the bonus can only be withdrawn once the customer has staked the free bet once over. Casino bonus cash be withdrawn after a 40x wagering requirement has been met. The use of the bonus funds themselves does not count towards the above wagering requirements. Tote betting can also not contribute to wagering requirements. The Betvictor welcome bonus cannot be taken up in conjunction with any other promotion or offer. Existing or previous BetVictor sportsbook users are not eligible for the offer. The offer is limited to one per customer and a customer’s identity will be determined by their name, address, payment method details, IP address, email, computer or any combination of the above. BetVictor can also request further proof of identity at their discretion. If BetVictor believe there to have been any abuse of the promotion, they reserve the right to withdraw it, reclaim winnings and/or close the customer’s account. The company also reserve the right to change or remove the promotion without prior notice, and to limit or prevent individual customer’s access to it at their own discretion. The BetVictor new player bonus, which gives customers bonus funds equal to the value of £30 if they bet £5, is a reasonably generous one which sits largely above the rest of the pack when it comes to the promotions run by the main sports betting companies. Similarly to the large majority of free betting offers that are around, that offered by BetVictor comes by way of non-withdrawable bonus funds but the fact that the company allows withdrawals from any money won from bonus bets is a definite positive. This makes any profit to be had from the free bet reactively accessible, and accounts for our high 90% rating for this deal – it is a 600% bonus after all.